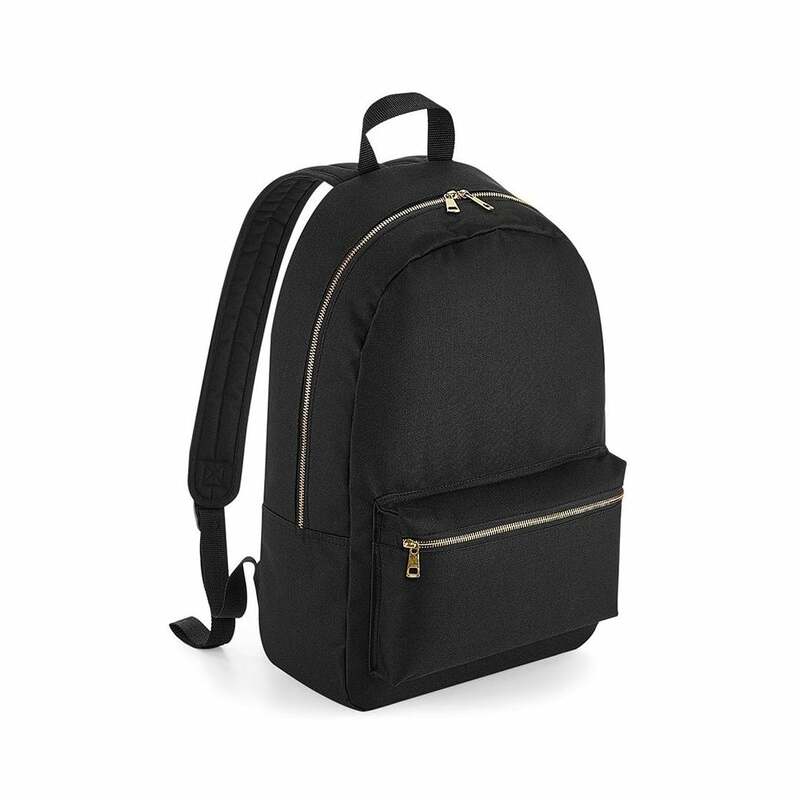 Bag Base Metallic Zip Backpack this is a trendy backpack that can hold personal items with ease. It has a main compartment and a smaller front pocket. This bag comes in black with a choice of 2 colour zips.